What is it? 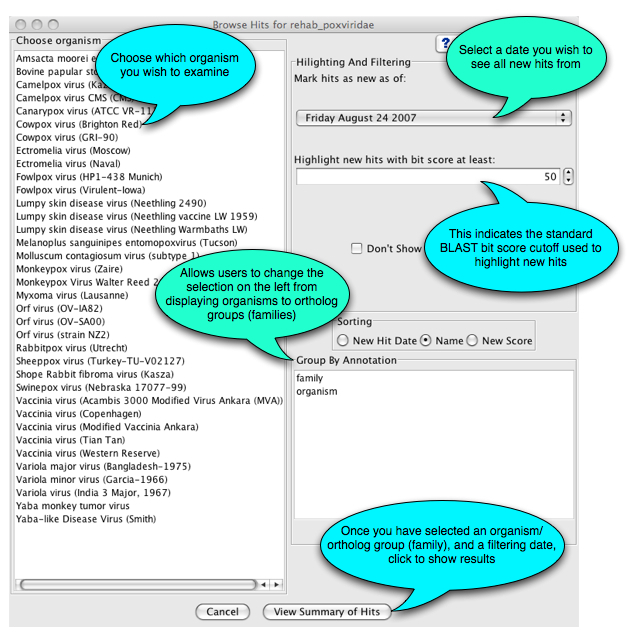 Recent Hits Acquired from BLAST (ReHAB) is a tool for finding new protein hits in repeated Position Specific Interactive BLAST (PSI-BLAST) searches. 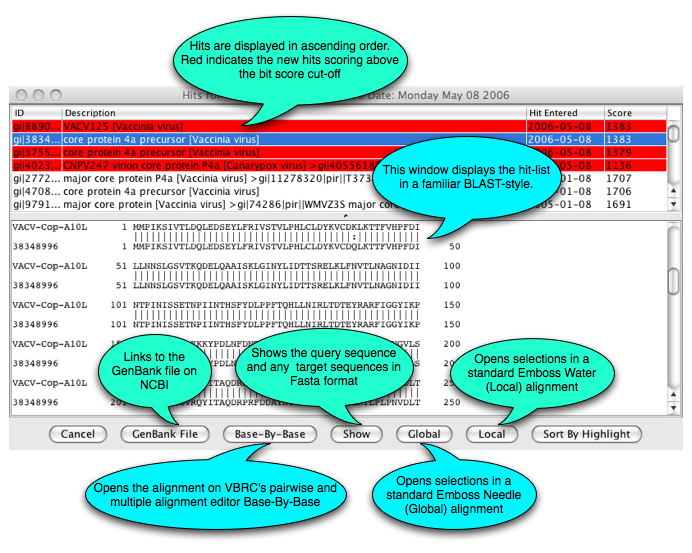 ReHAB compares results from PSI-BLAST searches performed with two versions of a protein sequence database and highlights hits that are present only in the updated database. How do I get started? ReHAB can be accessed for free at www.virology.ca. Select ReHAB from the VBRC Tools drop-down menu (top left of the page) or Click here to go directly to the ReHAB page. Click the Launch Program button. ReHAB will be downloaded to your computer and Java Web Start will automatically start the program. What next? 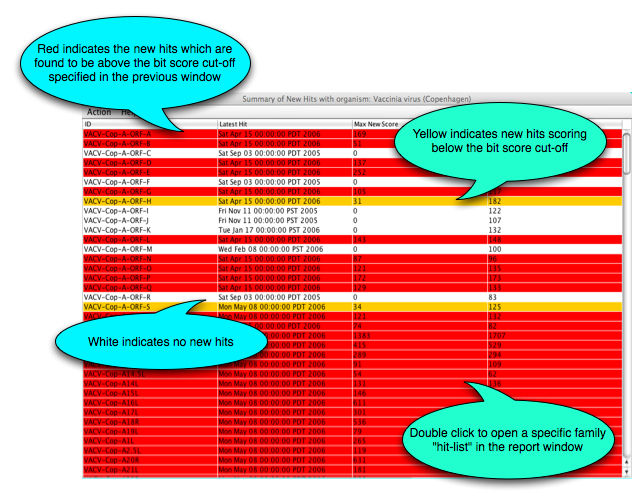 The main ReHABwindow below will apear. 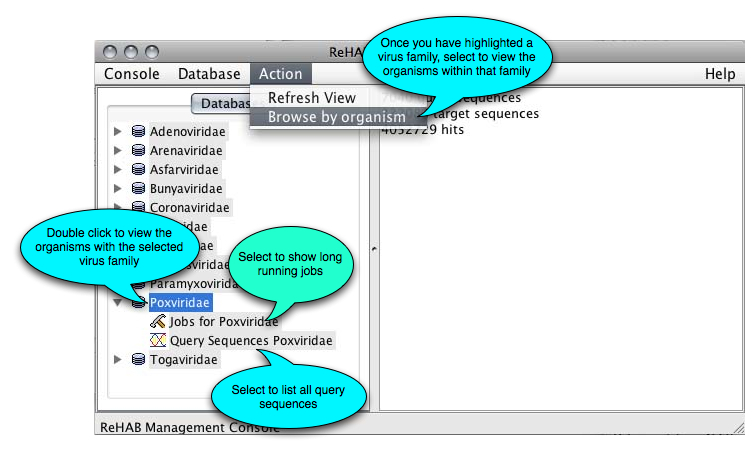 From here you can select which viral database you wish to query.